America is a nation that exercises overconsumption and completely ignores the notion that moderation is the key to anything. It seems that things are getting faster, stronger, sleeker and bigger. And we see that this ideal applies to cars, homes, fashion and of course, food. In Fast Food Nation, the author notes that to achieve this over-moderation, corners are cut and ultimately, damage our bodies. Over the years, portion sizes have increased as well. In the South, soda is sold in 3-liter bottles, not the standard 2-liter. In fast food restaurants, food is becoming tastier because nearly everything is deep fried, earning you more points on the Cholesterol chart. Places like Claimjumper's make me sick. I'm full before I've even started eating the meal. I fortunately can do without fast food and have avoided places that praise quantity over quality. But sometimes, larger portions are a good thing. The good people over at Wonton Time in Alhambra have taken a part in America's campaign for overconsumption. But still in a way that's healthier than any fast food you'll ever eat. They come by way of Hong Kong and serve up some BIG wontons. These are the Barry Bonds and Mark Maguire's of wontons - fully roided up. 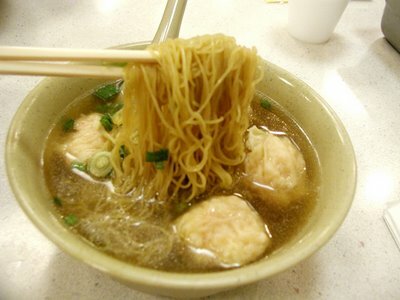 I have longed for good wontons since my last trip to Hong Kong last year. 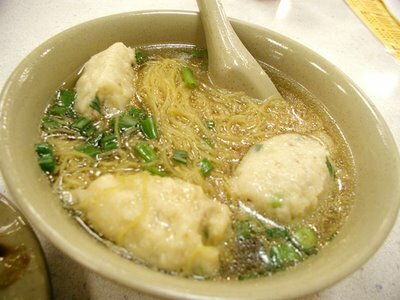 To this day, I have NOT found a place worthy of being considered a Hong Kong-style wonton noodle shop. 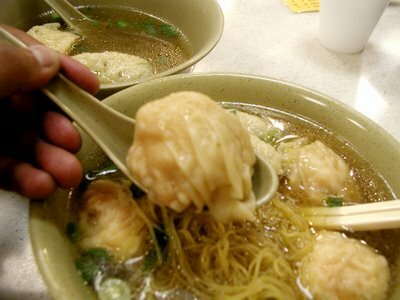 In Hong Kong, I could walk into any restaurant and order some of the best wontons ever. 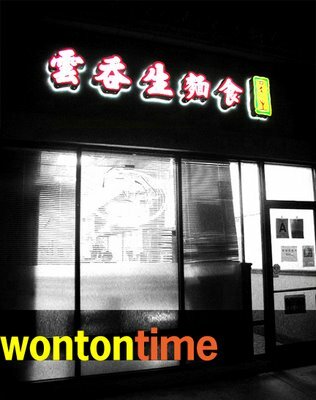 Wonton Time would have to do for now until my next trip to Hong Kong this Christmas. Yes, that's two trips to Asia in one year for me. No, I am not a FOB. I hope. 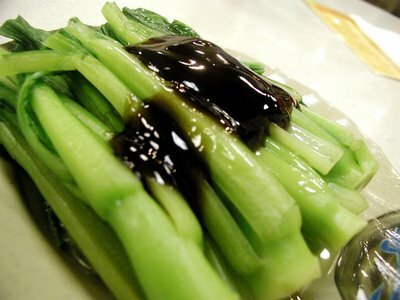 For first timers, I recommend adding the red vinegar and homemade hot sauce into your noodles. It really brings out the flavor of the dish. Until my trip to Hong Kong, this place will do. It's not bad. It's definitely one of the better places for wonton noodle soup and the fact that they add 'steroids' to their wontons should be interesting enough. Here's Jonathan Gold's review on Wonton Time.